Sorry for the rather short post today but I'm already running late. 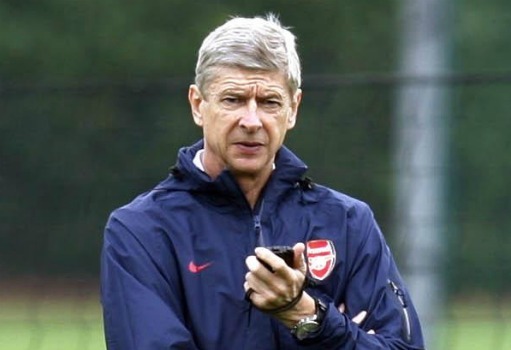 The main news this morning is that Arsene Wenger has helAgaind a special meeting at the training ground to tell his players that he still believes in them. The Sun say the boss told his players "to believe in yourselves" after a series of three league defeats on the bounce. He is also said to have told his first team squad that he believes in them all and that they shouldn't be concerned about the criticism in the media. The Daily Express also have an insight on this meeting, which they say the manager was using to create a "siege mentality" within the squad. We know that confidence plays an important part in professional sport, so doing anything to boost the players following this poor run of form is a good idea. Elsewhere, the manager has said that he doesn't believe the loan market should be open to players over the age of 21. There is more on this in the Daily Mirror. Apart from that there appears to be little else going on. Ignasi Miquel speaks to the official site and tells them he wants to play at Wembley and that the team cannot make any mistakes in Sunday's FA Cup game with Aston Villa, as they won't have a chance to put it right.